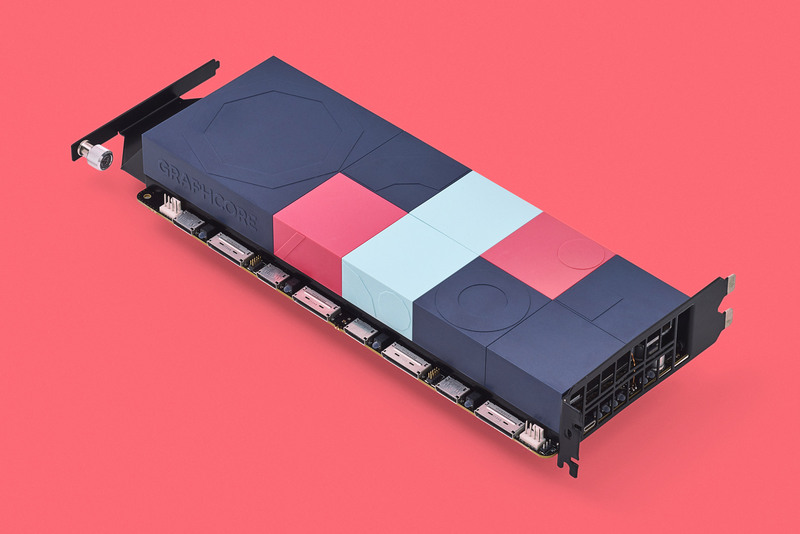 Pentagram and Map have set out to prove that computer hardware doesn’t have to be “cold, dark boxes”, by designing colourful products for machine-learning technology startup Graphcore. 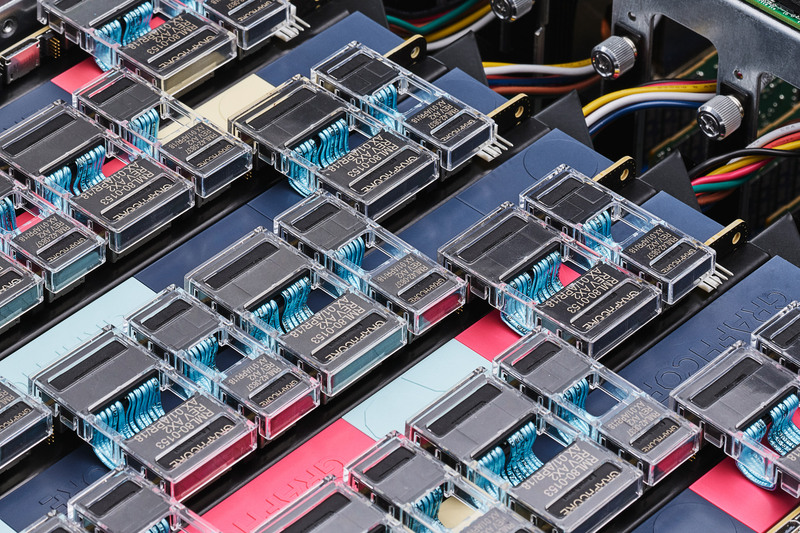 The two design agencies have collaborated on the industrial design of Graphcore‘s artificial-intelligence chip system, which helps speed up the process and resource-intensive deployment of AI. 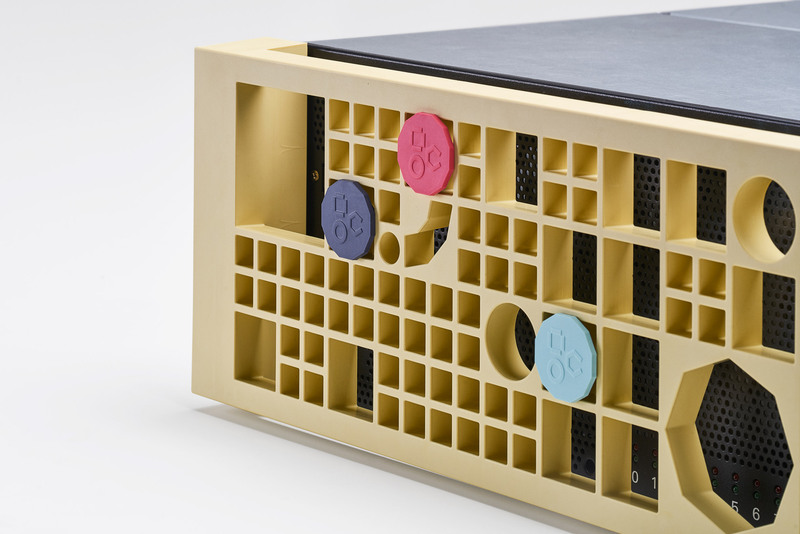 This includes an intelligent processing unit (IPU) – the company’s own version of a central processing unit – and the rackmount chassis that contains it. They enlisted London studio Map to help transform this into a physical design, able to represent individuality and “the potential for change”. Their aim was to create an alternative to “anonymous” computer systems, which typically “live in cold, dark boxes in even colder, darkened rooms”. Pentagram’s design consisted of a series of colourful modular tiles that can be assembled in various ways. 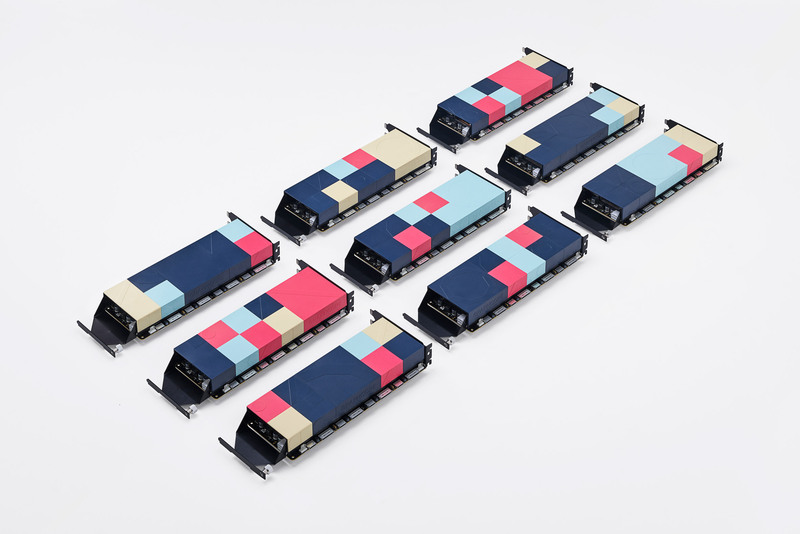 Each tile is coloured in Graphcore’s characteristic palette of navy, light blue, pink and pale yellow. “Affording this much time and care on the aesthetic of a product that largely goes unnoticed inside larger computer systems is unusual,” said the design team. 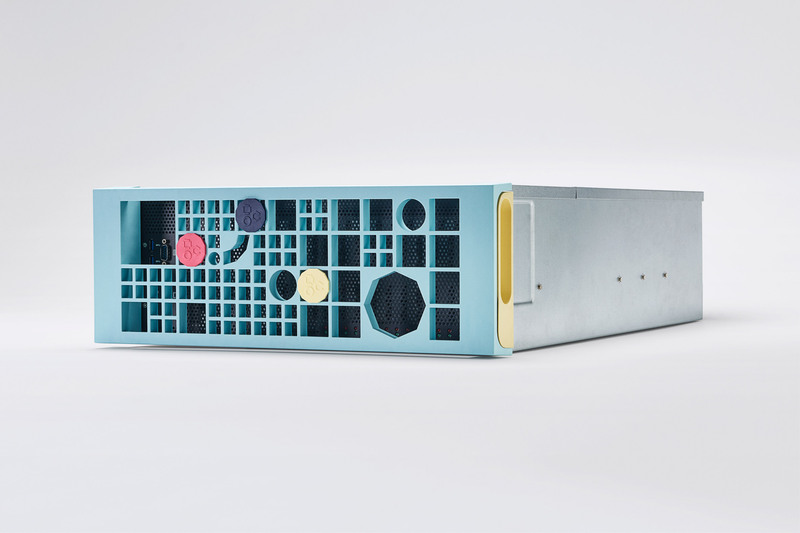 The front face design of the rackmount chassis, which is designed to connect eight IPUs together in a system, uses patterns from Graphcore’s visual identity as openings for ventilation, and clip-on branded details can also be attached onto the airflow grid to add extra personalisation. To reflect the ever-changing quality of Cytora’s artificial-intelligence-powered risk engine, Pentagram used visualisations based on these algorithms to make the company a brand identity, which feature constantly shifting blocks layered with pastel and bright colours.